Is there a way to recover the pictures from a formatted memory card? I have a compact flash card. It was only used once and accidentally formatted. How can you get back the pictures? Don’t panic, the formatting doesn’t wipe the drive completely. Photos inside the flash card are just invisible. You can easily recover them before they have not been overwritten by new files. So to perform flash drive recovery , the first thing you need to do is to stop using your flash drive. Some people may not be familiar with flash card, flash card is a kind of storage device that makes use of flash memory technology to store data. This kind of card has been widely used in digital devices like cell phone, digital camera, music player. CF card, MMC card, SD card, Memory stick and XD card are all flash cards. Even though flash card is convenient, it is still easy to come across data loss problem. Flash card data can be lost due to virus infection , system error, accidental deletion, mis-handling or other reasons. 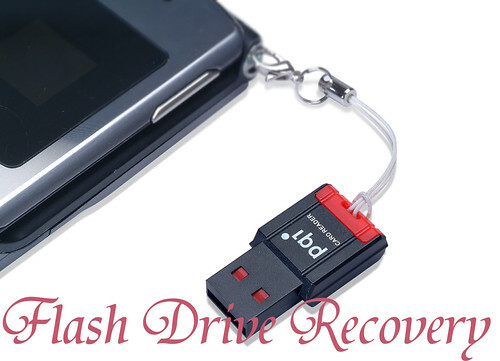 When facing flash card data loss issue, you’ll need flash drive recovery software to help you. You can find a data recovery program on the internet. Tenorshare Data Recovery is my recommendation for you. The flash drives supported by Tenorshare Data Recovery include SD card, SDHC card, MMC card, CF card, Memory Stick, etc. You will be able to recover document files, photos, videos, audios, archive files and even emails from your formatted flash drive. It is compatible for both Windows and Mac OS. After installing and running Tenorshare Data Recovery, you will be offered with 4 recovery modes to choose: All, Photo,Music,Video. Let’s try “Photo” mode. In this step, the program will display all hard drives on your pc. You just need to select the one for your flash card and click “Scan” to search for lost files. In the end, all found content will be displayed in folders or file types in the left. You can review the file names to check whether they are what you want to retrieve or not. Plus, you can even preview the photos. Then you just need to select files and recover them by clicking “Recover”. Please select a location to save those recovered files. It is important to keep them in other location other than in flash card, because data overwritten can lead to recovery failure. This entry was posted in card data recovery and tagged flash card recovery, flash card recovery mac, flash drive recovery, recover data from memory stick, recover videos from camcorder on January 31, 2013 by Jeanne. By reading this article i found that it is quite a good software, but I need to know that does it perform formatted flash card recovery? If you didn’t write new data to the card after formating,it is very likely to recover formated flash card data.However, The space in the formated card has been overwritten, you won’t see the data after scaning.Good luck, bro!